For years, politicians have debated how to address America’s alarming gun violence problem. A solution may be found by learning from Israel, where despite the proliferation of weapons, violent shootings are extremely rare. Four years ago, our dad was murdered, along with five other fathers, in a mass shooting at the Minneapolis company he founded nearly 30 years prior, Accent Signage. An employee who was being let go brought a gun to work and started shooting. There are countless haunting aspects of our family’s story. Among them is that our dad moved to America to escape violence. After witnessing the horrors of the battlefield as an Israeli soldier during the Yom Kippur War, our dad flew to America to clear his head and visit his uncles in Minnesota. 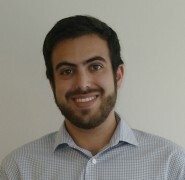 Growing up on a farm in southern Israel without electricity or running water, he heard tales of an America “where the streets are paved with gold.” He quickly learned that his vision of America wasn’t exactly as he pictured, but he still believed it was the land of opportunity and decided to stay. Secretly, my grandmother encouraged her brothers to support his plan, for fear that another war would break out and that our dad, her youngest son, wouldn’t be as lucky next time. Although my dad never graduated high school, he seized the opportunity to make something of himself, working doggedly to launch and sustain a successful company that slowly grew from an engraving shop in his basement into a multimillion-dollar enterprise. My family reflected on this terrible irony after he was murdered: Our dad lived the American dream; now, we were another family living this distinctly American nightmare. Less than three months after gun violence shattered my life as I knew it, a gunman opened fire inside Sandy Hook Elementary School, claiming the lives of 20 first graders and six of their teachers. The Sandy Hook massacre horrified our nation and reignited the national debate about gun regulations. Advocates of responsible gun laws demanded Congress act on the issue, starting with basic measures like expanding background checks to prevent guns from falling into dangerous hands and reinstating a ban on military-style assault weapons for civilian use. As Americans search for direction in the midst of a bloody, maddening, polarizing summer marred by gun violence, it’s worth contemplating our relationship with firearms—and what we can learn from Israel. On the other side of the debate, the National Rifle Association (NRA), which poses as a lobby for gun owners but in reality represents the financial interests of the gun industry, responded to the horror of Sandy Hook just as they had countless times before: They called for more guns. The NRA suggested armed guards in schools and even suggested arming school teachers. Days after Sandy Hook, the gun lobby’s executive director, Wayne LaPierre, drew a controversial parallel in an attempt to support this idea on Meet The Press. “Israel had a whole lot of school shootings until they did one thing: They said, ‘We’re going to stop it,’ and they put armed security in every school and they have not had a problem since then,” he said. Why is this? First, Israeli gun policy is much more stringent. Second, Israeli gun culture is fundamentally differently than America’s. As Americans search for direction in the midst of a bloody, maddening, polarizing summer marred by gun violence, it’s worth contemplating our relationship with firearms. If we approached guns as Israel does, Americans would live in a much safer society. America’s gun violence crisis is disturbingly unique. A study by the National Institutes of Health comparing the United States to 27 other populous, high-income Western countries found that a person in the U.S. is 25.2 times more likely to be killed with a gun than in other developed nations—seven times more likely than someone in Canada, which has the second-highest homicide rate. For victims in my age group, 15- to 24-year-olds, the gun homicide rate in the United States is 49 times higher. If suicides and accidental killings are included, the overall firearm death rate in the U.S. is still 10 times greater than in other developed nations. The United States also has the highest rate of gun ownership of any country on Earth. In a report comparing American gun policy with other nations, the Council on Foreign Relations noted that while the U.S. has only five percent of the world’s population, we have 35-50 percent of the world’s guns. Roughly 89 guns are owned by civilians for every 100 people in the U.S., which towers at the top of global rankings. Second is Yemen at 54.8; it trails off quickly after that. Israel is tied for 79th with Iran, Belarus, and Georgia at 7.3. Israelis live in a very dangerous part of the world and must be ever-vigilant against terrorism. 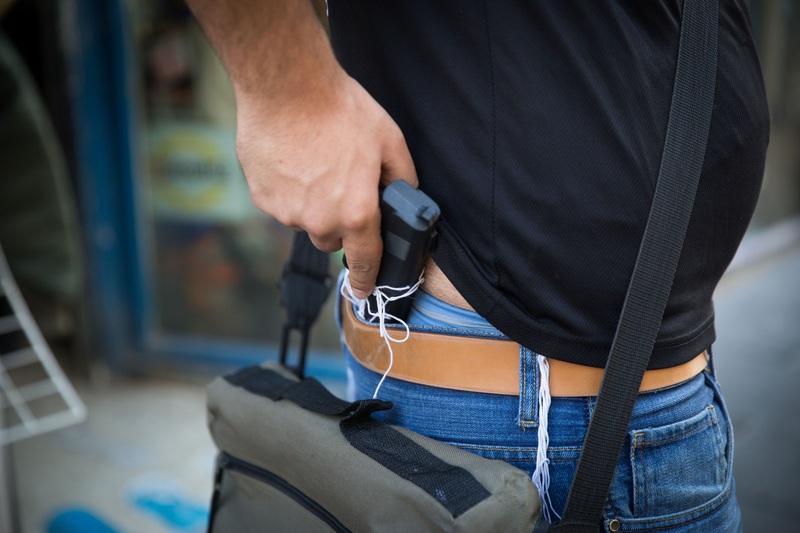 So why don’t more Israeli civilians carry firearms? Obtaining a firearm as a civilian is a radically different process in the U.S. than in Israel. Gun ownership is a right for U.S. citizens, enshrined in the Bill of Rights of our Constitution. 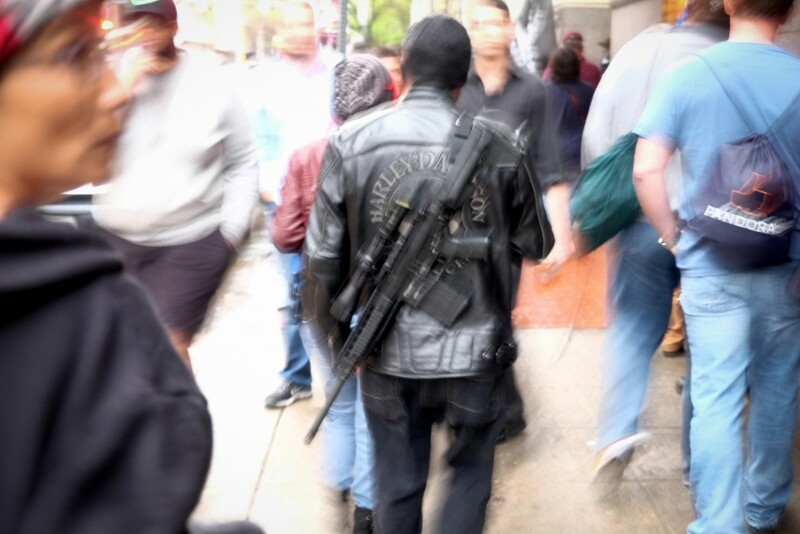 The Supreme Court has interpreted the Second Amendment as giving states the right to regulate firearms, but also confirmed in the controversial 2008 decision of District of Columbia v. Heller that individuals have the right to keep and bear arms. According to the Law Center to Prevent Gun Violence, “Heller represented a dramatic reversal of the Court’s previous interpretation of the Second Amendment” by effectively creating a new constitutional guarantee for an individual’s right to possess a handgun in the home for self-defense. Irrespective of constitutional law, many Americans regard the right to private gun ownership as one of our most sacred freedoms. Israelis have a fundamentally different perspective. Owning a gun in Israel is considered a great responsibility and a privilege not available to all citizens. After the Sandy Hook shooting and the NRA gaffe calling for a gun policy that mirrors Israel’s, Ben Hartman of The Jerusalem Post asked Yaakov Amit, head of the Public Security Ministry’s Firearms Licensing Department, why Israel doesn’t have such killings. “You can’t prevent this entirely. You can’t ensure that someone won’t someday go crazy and do something like this, but we do our best to prevent it from happening,” Amit answered. For Israelis, “doing our best” means the law has the proper barriers in place to ensure that only the “good guys” are buying guns. Specifically, Israel keeps a registry of all of its gun owners, who must pass a background check that considers criminal, physical, and mental health records; take shooting courses at a licensed gun range; and provide a specific reason for needing a gun, like working in security or living in the settlements, where there’s limited Israeli security presence and a higher rate of attacks against Jews. If approved, Israeli gun owners must retake their license exam every three years. These hurdles ensure that only responsible citizens can legally obtain deadly weaponry. Unstable individuals, like the person who killed my dad, would have a miniscule chance of arming themselves. 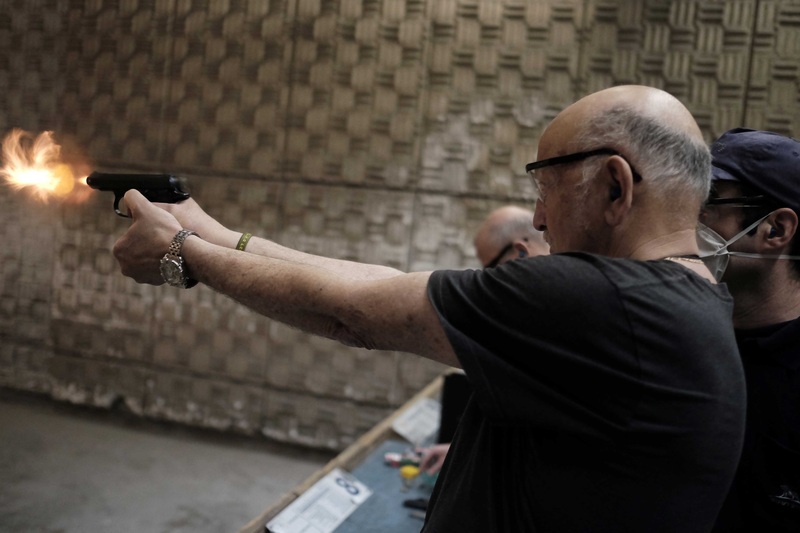 In the United States, gun regulations pale in comparison to Israel’s policies. Federal law requires a background check for guns sold by licensed firearm dealers. But according to the Coalition to Stop Gun Violence, this provision only covers about 60 percent of gun sales. Individuals in 32 states can legally bypass a background check by purchasing their weapons through private sales, such as by meeting a seller online or at a gun show, with no questions asked. Shooting courses are not required, there’s no license to be renewed, and Americans never need to provide a reason for owning a gun. There is no federal waiting period to buy a gun, and only nine states and the District of Columbia have a waiting time for the purchase of firearms. Additionally, unlike in Israel, there is no affirmative requirement that Americans prove they are physically or mentally healthy, or that they are even minimally competent to safely own and handle a gun. These lax regulations make it far too easy for dangerous and irresponsible individuals to acquire lethal weapons. Compared to Israel, America’s gun laws allow the ownership of much more dangerous weapons—and can allow much more dangerous people to own them. Ben-Yehuda is right; our gun violence crisis is outrageous and shameful. Unlike Israel, America is not “doing our best” to ensure that guns can only be obtained by responsible citizens. Improving policy is certainly part of the puzzle, but it’s also helpful to examine the role of a different cultural approach to guns. While lax American policies allow for a reality in which 33 Americans are murdered with guns daily, Israeli gun policy is driven by a culture of responsibility, keeping gun violence at a minimum. This isn’t because there are fewer ill-willed or violent people in Israel, a country rife with deep societal divisions and historical tensions. But when Israelis act violently, the results are far less lethal. Jessica Schulberg of The Huffington Post highlighted this point after the slaughter of 49 Americans at an LGBT nightclub in Orlando. She cited an incident in which a religious extremist stabbed seven people, killing 16-year-old Shira Banki: “Like Florida shooter Omar Mateen, Yishai Schlissel was a homophobic extremist determined to kill gay people. But Schlissel, unlike Mateen, lived in a country with strict gun laws: Israel. When Schlissel attacked a gay pride parade in Jerusalem a year ago, he was armed with a knife, not an assault rifle.” If Schlissel had been able to legally purchase an assault rifle, as Mateen did, the results almost certainly would have been far deadlier. Gordis’ words are illuminating: A gun culture closer to Israel’s would serve America well. But that culture needs to be reinforced with a set of policies and restrictions that prevent people like Omar Mateen and Yishai Schlissel from obtaining firearms. This is a false analogy, because no reasonable advocates for stricter American gun policy promote a gun ban. It also shows a lack of awareness. For example, the Aurora shooter used an assault weapon with a 100-round magazine, the exact type of weaponry unavailable to Israeli civilians. Arguing against sweeping reforms, Leibovitz referenced his childhood spent at the gun range, where he learned the fundamentals of gun safety from his father. Leibovitz thinks following the Israeli example means “educat[ing] gun owners about their rights and responsibilities, so as to foster a culture of sensible and mindful gun ownership.” Leibovitz’s piece is completely anecdotal. 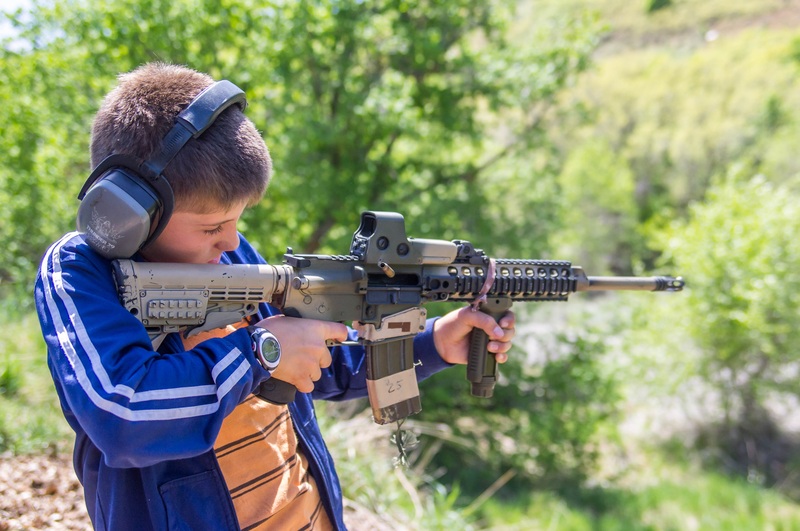 There’s no evidence that training kids en masse to safely use guns will reduce gun violence. By dealing only with the extremes of complete gun bans or making no policy reforms at all, Leibovitz misses the mark. Policy and culture are intertwined when it comes to this issue; a shift in one will drive the other. It’s going to be an uphill battle, but a culture of responsible gun ownership, as it exists in Israel, is a reality that can still be achieved in the United States. A shift in Americans’ attitudes about guns will be necessary to expedite the shift in policy. Popular support for expanded background checks on gun sales is massive—an estimated 92 percent of Americans support them. With such broad agreement, the rapidly-growing gun violence prevention movement has focused primarily on enacting that policy, which will keep guns out of the wrong hands and save lives. But some attitudes about guns in America are still woefully misguided. A 2014 Gallup poll found that more than six out of ten Americans believe having a gun in the house makes it a safer place to be. This thinking is worse than misguided, it is dead wrong. Study after study tells us that having a gun in the home increases the risk of homicide, suicide, or an accidental shooting. According to the National Institutes of Health, for each time a gun is used in self-defense in the home, there are seven assaults or murders, 11 suicide attempts, and four accidents involving guns in or around a home. What’s worse is that the number of Americans who share the erroneous belief that gun ownership makes them safer has nearly doubled since 2000. This shift seems to correlate with the changing reasons Americans provide for why they own guns. A Pew study published in March 2013 found that 48 percent of gun owners stated that the main reason they own a gun is for protection, versus 32 percent who say they have a gun primarily for hunting. In 1999, the answers were nearly opposite: 49 percent said they owned a gun to hunt and just 26 percent cited protection as the biggest factor. America’s gun culture, largely driven by the NRA, has shifted dramatically in the past few decades. While the popularity of hunting has declined, new laws written by the NRA have been enacted in a majority of states that encourage a brazen style of gun ownership that undermines the ethos of responsibility we must cultivate. Take, for example, the “stand your ground” laws that remove the centuries-old legal duty to retreat before using deadly force in self-defense. Florida signed into law the first version of this bill in 2005, and 25 other states have followed. This law encourages the “shoot first, ask questions later” mentality that tragically took the life of 17-year-old Trayvon Martin. This mentality is the opposite of what the Israel Defense Forces (IDF) teaches its soldiers, who go on to become Israel’s responsible gun owners. IDF soldiers learn that pulling the trigger should be the last resort. But where “shoot first” laws exist, American gun owners—who aren’t federally required to undergo any training before being allowed to purchase a weapon—have almost been given the right to take a life if they feel threatened. In addition to “shoot first,” there are only five states remaining that prohibit openly carrying guns in public places. Thirty-one states allow open carry without any license or permit, making it impossible to discern who the “good guys” are during the kind of chaotic mass shooting that took the lives of five police officers in Dallas earlier this month. Fortunately, none of the Dallas protesters who openly carried assault rifles were accidentally killed by the police in the confusion. While as many as 80 percent of gun owners support expanding criminal background checks for all gun sales, America’s gun culture is largely driven by the NRA and the self-serving ideology it promotes. Once a respectable organization, the NRA has veered over four decades from advocating on behalf of sportsmen and hunters toward lobbying for extreme and dangerous policies, while opposing virtually all legislation that would reduce the gun violence epidemic. The mantra driving the NRA’s ideology is, “The only thing that stops a bad guy with a gun is a good guy with a gun.” Connecticut Senator Chris Murphy recently blasted this lie from the Senate floor, calling it “an invention designed by the gun industry to sell more guns, to convince Americans that laws and rules cannot protect them.” That lie has also become the ethos of American gun culture. Policies like “shoot first” and open carry are destructive to American society for the recklessness they promote and the killing that results. Fixing our nation’s broken gun laws will require a shift in the debate. It will take time, but, in many ways, it’s already happening. But in 2016, when our nation can’t seem to go more than a week without a major shooting that roils a community, candidates up and down the ticket are pledging their support for gun safety. At the top, the Democratic nominee for president, Hillary Clinton, has made preventing gun violence a centerpiece of her campaign. She has echoed the gun violence prevention movement in her call for Congress to buck the gun lobby. “What is wrong with us, that we cannot stand up to the NRA and the gun lobby, and the gun manufacturers they represent?” she said in October after a mass shooting at a community college in Oregon. Later that month, she released a comprehensive plan to end, as she put it, the epidemic of gun violence in America. These are major changes from how Democrats campaigned in 2008 and 2012. According to Leber, “Obama treaded carefully on the issue in his first run for office in 2008, calling (with little detail or emphasis) for ‘common-sense reforms.’” She also noted that the Brady Center to Prevent Gun Violence gave Obama seven out of seven F’s on a report card for repeatedly failing to stand up to the gun lobby during his first year in office. Things have changed in large part due to grassroots organizing and serious efforts to shift the political-high ground on the gun issue, which has, in turn, changed much of the culture surrounding it. On the day after the Newtown shooting, a mother of five from Indianapolis named Shannon Watts started a Facebook page for moms who were fed up with politicians’ complacency in allowing so many Americans to be killed with guns. Following the model of Mothers Against Drunk Driving (MADD), who were instrumental in changing our nation’s drunk driving laws, Moms Demand Action for Gun Sense in America has amassed millions of members and has scored dozens of victories across the country. Some of their major wins include a successful ballot initiative to expand background checks in Washington state and effective efforts to have large corporations such as Starbucks, Target, and Chipotle ban open carry in their stores in states where it’s legal. Moms Demand Action is creating a cultural sea change when it comes to guns. Instead of focusing on gun rights, Moms and other gun violence prevention advocates have shifted the conversation to focus on the human toll of lax gun laws. On June 2, 2016, hundreds of thousands of Americans participated in the Wear Orange campaign as part of the second annual national Gun Violence Awareness Day. In addition to the 125 national landmarks that lit up orange, cultural figures like Stephen Curry and Kim Kardashian West donned the color, making #WearOrange a national trend. In 2015, just one offline event was held in commemoration; in 2016, over 200 American cities hosted events raising awareness of the toll gun violence takes on communities. When I spoke at the Wear Orange event in Minneapolis to over 300 supporters, I could feel the movement’s momentum. Gun owners, law enforcement officials, faith leaders, doctors, and moms were all speaking out against the state of our reckless gun laws, demanding that we do better. The Everytown Survivor Network elevates and empowers people like me and my family, who have been immediately affected by gun violence, to share our stories. Societal attitudes on marriage equality changed largely because a political movement helped Americans realize that LBGT people are their family, friends, neighbors, and coworkers—and that these people deserve the same rights as everyone else. As more Americans come to the painful realization that gun violence has shattered too many of our communities and taken the lives of too many of our family, friends, neighbors, and coworkers, their attitudes are shifting on this issue as well. It’s clear that large segments of the country are ready to tighten policies and change America’s gun culture. Yet, our Republican-dominated Congress can’t seem to find the courage to stand up to the NRA. The GOP frequently projects a great affinity for Israeli resilience, innovation, and security practices. So why shouldn’t America mimic aspects of Israel’s gun policy too, especially when it could save countless American lives? Yes, Americans have a right to bear arms. But with rights come responsibility. Israelis regard guns with great respect, as killing machines that belong only in the hands of those who can responsibly handle them; if Americans begin to treat firearms the same way, the next generation will live in a far safer society. Americans have a constitutional right to gun ownership, but even the Supreme Court has found that right is limited. Thus, we have the ability to take incremental but still significant steps to address America’s gun violence crisis. The U.S. had 259 mass shootings (where four or more people were shot) in 208 days in 2016. This is plainly unacceptable. To change this reality, it starts with doing our best to ensure that only “good guys” are able to get guns and that, as in Israel, the firepower at their disposal is reasonable. No law will be able to prevent all gun violence, and America’s gun policy will never look quite like Israel’s, but we need to seriously ask ourselves if we are doing our best to prevent these constant killings from happening. For the thousands of American families, including mine, that have been shattered by gun violence, the answer is painfully obvious.